In the majority of healthcare cases poor reimbursement, improper coding, and documentation is the culprit. While it is important to be paid for the services rendered by our providers, it is also important for the claims to be accurately coded. If we recognize that claims are a reflection of the patient, as well as the provider office, then the services and the diagnoses billed must be those which are documented in the medical record. Dealing with denied and rejected claims can be costly and frustrating! Not to mention ever-changing healthcare guidelines, laws, and codes. This recording is designed to help you understand the claims process and avoid unnecessary back-end work, achieving optimal reimbursement, THE FIRST TIME, and success for your medical office. 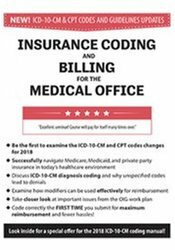 Develop a better understanding of how to effectively utilize CPT, ICD-10-CM, HCPCS II, and modifier codes to ensure proper payment. This course is a MUST for anyone who is involved in coding, billing, or reimbursement for the physician practice—including the physicians themselves!! Know when to appeal and when to "write it off"
Nurses completing these self-study materials will earn 5.9 contact hours. Expires: 9/19/2021. Iowa Nurses: PESI, Inc. is an approved provider by the Iowa Board of Nursing. Provider #: 346. Nurses successfully completing these self-study materials will earn 5.9 self-study contact hours.